As my recent posts confirm, I have eaten way too many desserts lately. I mean, it is bathing suit season, I should probably skip the extra slice of cake :). Lucky for me, when it gets hot outside, I definitely crave salads and fresh fruit. 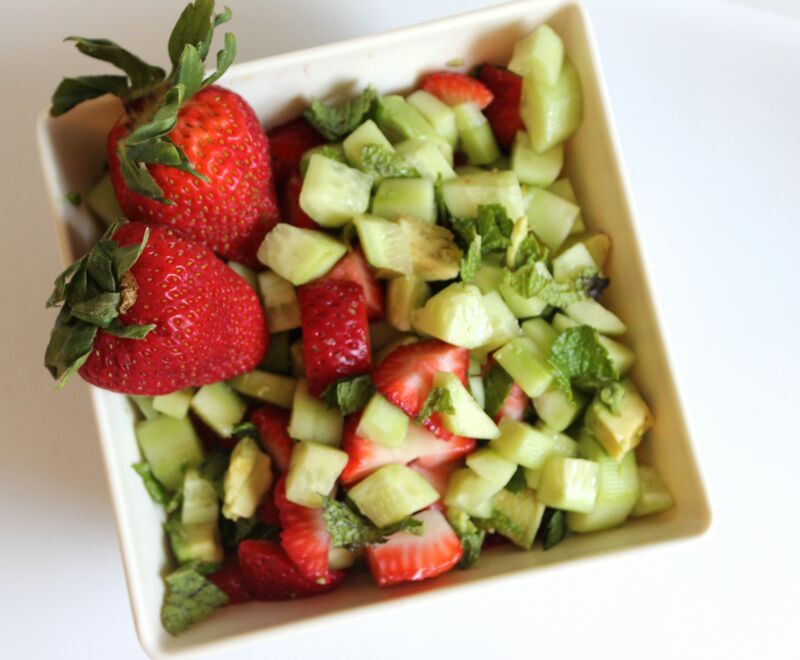 So yesterday when trying to decide what to have for lunch, I made this incredibly delicious Strawberry-Mint Cucumber Avocado Salad that truly tastes like summer. It is light and crisp and the avocado adds a perfect touch of creaminess. I tossed it with a homemade lime vinaigrette. This is a perfect salad to serve at your next bbq, a light lunch or a side at dinner. Chop cucumbers, and mint finely. 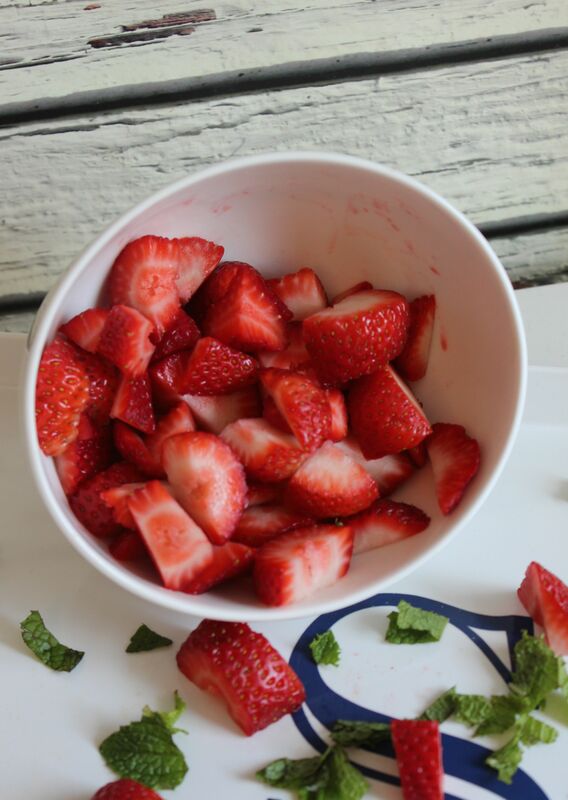 Chop strawberries and Avocado into large pieces. 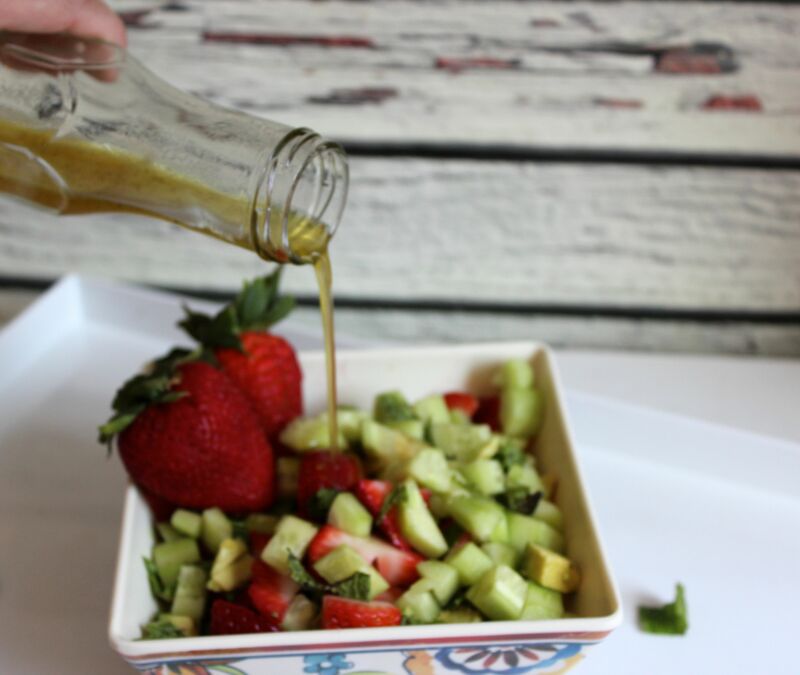 In a separate container, mix the juice of one lime, olive oil, and maple. Add salt and pepper. Enjoy immediately. If you make ahead of time, mix in dressing right before serving. Additionally, you may want to also keep avocado separate and squeeze lime on it to keep from browning.